We can take over the burden of that unwanted property. We buy houses in any condition…”AS IS”. You never have to make costly repairs and updates you might need to do in order to list with a Realtor. Whatever it is … you have a property and need to sell it… we’d like to make you a fair cash offer and close on it when you’re ready. Does this sound like you? You’ve tried to sell your house but are running into roadblocks. You might have even tried listing your house with a real estate agent. Listing your house with an agent can be a great way for some folks to sell their house, but the truth of the matter is that it’s not the best solution for everyone. This is especially true if your house needs a lot of repairs or updating. It’s going to be a tough sale in a lot of cases. Buyers want move in ready homes. Buyers also like nice landscaping, and once they get inside they expect to find your house neat and clean. That in itself can be a chore when you are living in the home. Listing your home with a Realtor also involves finding an agent who you trust and who can deliver on their promise (selling your house quickly), signing a contract that binds you to an agent for a certain term, the piles of paperwork you have to sign, shuffling paperwork back and forth from buyer –> to agent –> to you… and back. The biggest issue with trying to sell with a real estate agent or selling it yourself is often times retail buyers will tie up a home for weeks and pull out on the deal at the last second… or have their bank loan fall through.This can add a ton of stress, months of waiting to process the paperwork, and in the end after all this the house still doesn’t close. We at [Innovative Property Solutions in Louisville] work differently. You won’t have to do any of those things. We will make you an all cash offer on your house and the process is so easy. You can either give us a call or fill out the convenient form right here on the site and someone will get back with you within 24 hours. Want to know exactly how it works? JUST CLICK HERE…. We help property owners just like you, in all kinds of situations. From divorce, foreclosure, death of a family member, burdensome rental property, and all kinds of other situations. 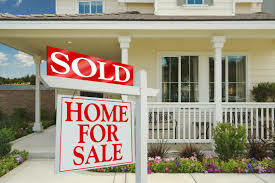 We buy houses in Oldham county and surrounding areas. Sometimes, those who own property simply have lives that are too busy to take the time to do all of things that typically need to be done to prepare a house to sell on the market… if that describes you, just let us know about the property you’d like to be rid of and sell your house fast for cash.